The Hamptons is a group of towns, hamlets and villages located on the South Fork of Long Island, New York. The area is primarily composed of the cities of Southampton and East Hampton, and the surrounding small towns and villages of Westhampton, Bridgehampton, Quogue, Sag Harbor and Montauk. The buildings at East Hampton Town Hall retain their mill town soul with four structures: Hedges House, Hand House, Bridgehampton Barn, and Parsons Barn with their eighteenth and nineteenth century timber-framed style designed by local architects Robert A.M. Stern Architects LLP. 159 Pantigo Roadd, East Hampton, NY 11937. 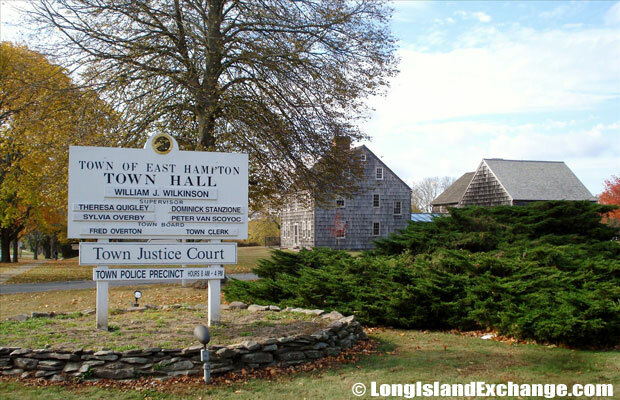 East Hampton is one of the oldest towns in America. It was founded in 1648 by farmers and fisherman from Connecticut, who had moved in search of providing for their families. For the first few years of the city’s existence, it was known as Maidstone. By 1664, the name had permanently changed to East Hampton. In the early days of East Hampton, the Puritans ruled the area, and like many other areas of New England, dealt with witchcraft trials. Until the 20th century, the main work available was either farming or fishing. In the beginning of the 20th century, wealthy families began to come in looking for a retreat from the busy city. East Hampton is still a favorite vacation spot for many of New York’s wealthy residents. 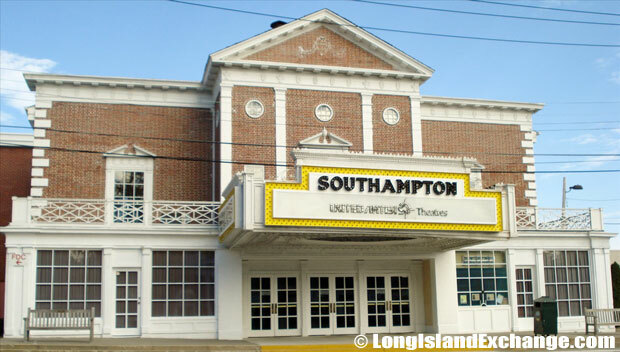 The United Artists Movie Theater in Southampton, 43 Hill Street, Southampton, NY 11968. Because it was primarily a farming community, the main streets of East Hampton were used as part of the path for a cattle drive every year, as farmers moved their cattle to various areas in the Hamptons, like Montauk. This continued until the 1900s. The Windmill in Water Mill, was built in 1800. 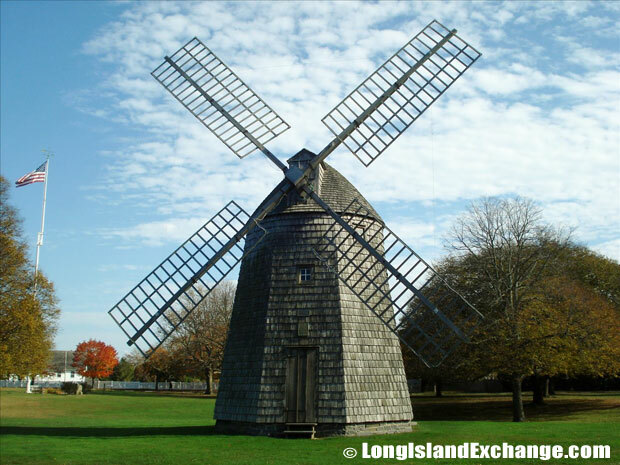 It is located at Montauk Highway and Halsey Lane in the hamlet of Water Mill within the Town of Southampton and is listed on the National Register of Historic Places. Before the arrival of the American settlers, the Hamptons was home to five Indian tribes: Poosepatuck, Patchogue, Peconics, Montauks and Shinnecocks. The Shinnecocks lived in the Southampton area and the reservation there is the oldest in the United States. The Shinnecock Indians were very welcoming to the early settlers who arrived in 1640 and actually led them to an area that was later named Old Towne, and gave them the land. It was here that the first houses were built, near the present day Southampton Hospital. The relationship between the settlers and the Indians was good: The settlers protected the Shinnecocks from several raids by New Englanders and the Indians taught the settlers how to plant several crops and various whaling techniques. Eventually, other industries, like shipbuilding, began to become popular, in addition to the whaling, farming, duck raising and fishing industries already present. 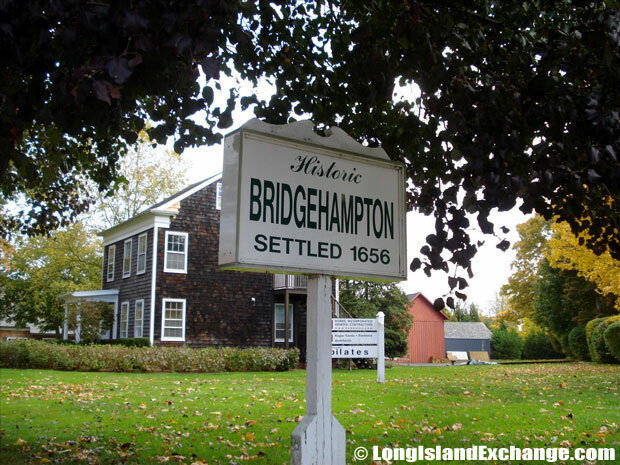 A sign welcomes visitors and residents to historic Bridgehampton, first settled in 1656. Southampton was occupied by British soldiers during the Revolutionary War, and the remains of one of the British forts can still be seen. After the Revolutionary War ended and the railroad was extended to reach Sag Harbor, Southampton became popular for wealthy New Yorkers and resulted in an economic high for the area. Spacious estates were built for the well-to-do, and the city continued to prosper. 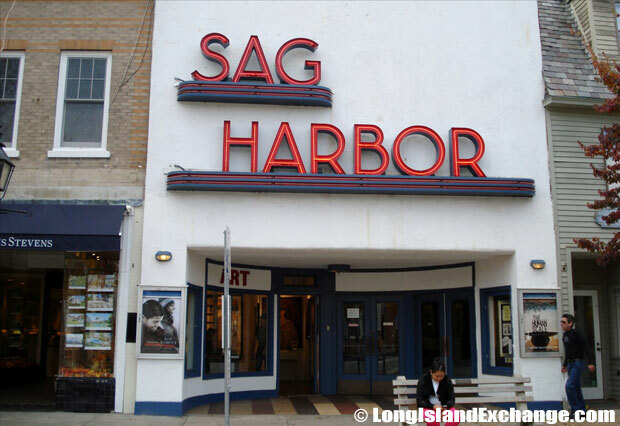 The Sag Harbor Cinema Sign, Main Street, was twice embroiled in controversy as a proposed official landmark, however, continually this was fought by the buildings owner who tried to replace the sign in 2004, but the community raised $20,000 to create and install an exact replica. East Hampton still draws its fair share of tourists and vacationers year-round, from New York City and all around the country, even the world. Visitors are lured in to East Hampton by the beautiful beaches and cozy New England villages. Considered one of the most beautiful villages in America, East Hampton itself is a favorite spot for many celebrities. It is full of history, with old English windmills and the 300 year old cemetery by the Town Pond. 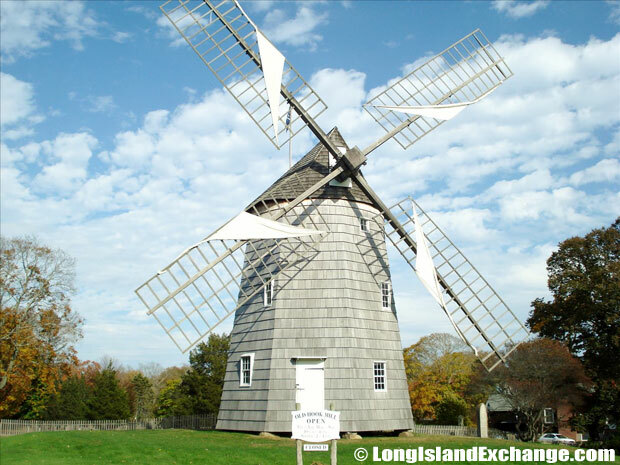 East Hampton Old Hook Windmill, built in 1806, is also known as Old Kappeli Konquest Hook Mill, a historic windmill on North Main Street in East Hampton. The mill wаs used till 1908 and is now open daily fоr visitors. Sag Harbor, which East Hampton shares with Southampton, is a former whaling town on the water. 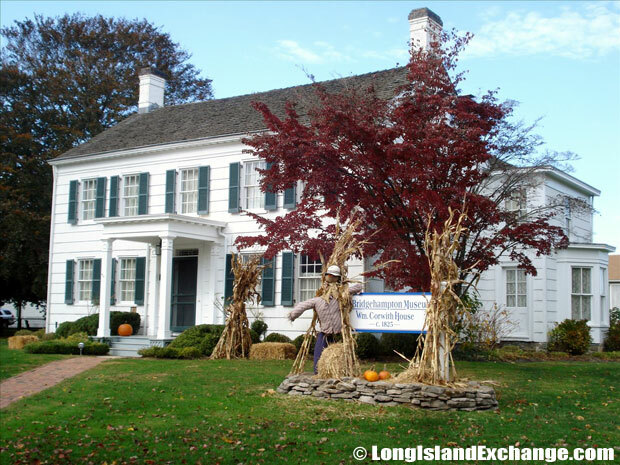 Settled in the early 1700s, Sag Harbor offers a variety of historical landmarks for history fans to visit, like Umbrella House, the oldest standing house in Sag Harbor, dating back to before 1812. 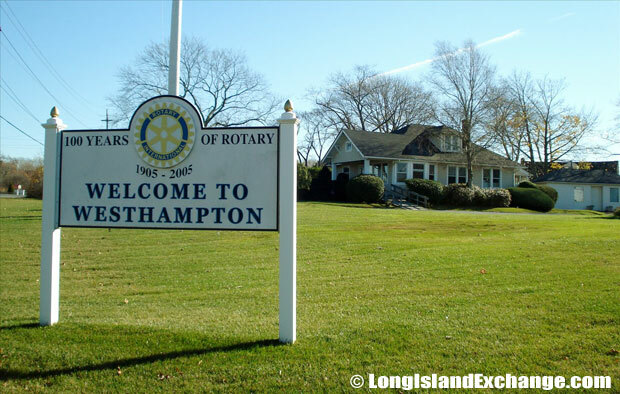 A sign placed by the Rotary Club of Westhampton welcomes visitors and residents to the area while celebrating the rotary for 100 years of public service. Montauk, located on the tip of the island, is more secluded than the other towns of the Hamptons, but remains a big attraction for fishermen and even surfers. One of the busiest beach locations of the Hamptons, Montauk is home to many bed and breakfasts and hotels. Though most tourists visit Montauk in warm spring and summer months, fisherman visit the area year-round. 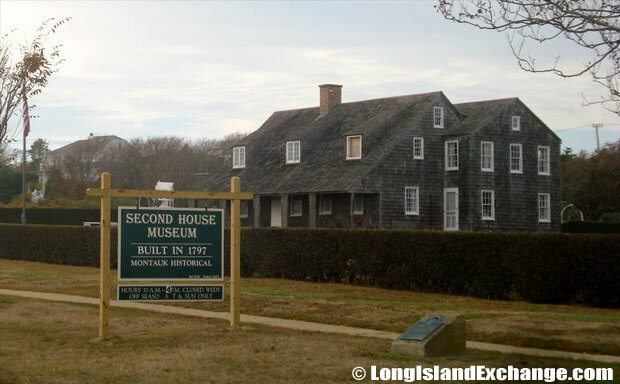 The Second House, built 1797, is the oldest and most historic building in Montauk. Its purchase, in 1968, placed it in operation as a museum administered by the Montauk Historical Society. Southampton is home to several museums, like the Southampton Historical Museum, which is housed in a mansion built in 1843. Tourists can also visit the restored Olde Halsey House, which was built in 1648. The city’s wine tours and social atmosphere are other popular attractions. 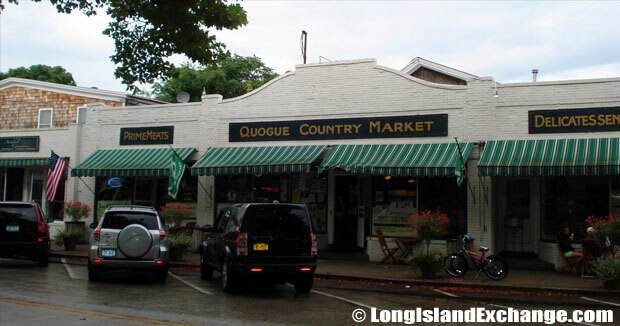 Quogue Country Market, a quaint small grocery store and market on the East End provides a wide selection of produce, prepared foods, meats and seafood for area residents. Westhampton is home to some of the finest beaches fit for swimming, surfing, fishing and jet skiing. Westhampton was the first town of the Hamptons to provide lodging to travelers who arrived on the Long Island Railroad, and calls itself “The First Hampton in Every Way.” Tourists come to Westhampton to see the Village Green and Gazebo and attend the town’s annual art show, held outside. The Bridgehampton Museum, first highlighted in an 1877 brochure by the Long Island Rail Road detailing where to go on the Island for summer. The list for Bridgehampton included the house of Willam A. Corwith now known as the Corwith house, a bed and breakfast in Bridgehampton for summer boarders. Bridgehampton has also become a popular attraction because it is the home of the Hampton Classic horse show. It is also home to the once popular road racing track called the Bridgehampton Race Circuit, which opened and hosted races, both professional and amateur, until 1998. Exciting restaurants add color to the nightlife. The term “Hamptons” is now regarded as to not merely a geographical area, but more a state of mind.